Girls love to pamper their skin, so I do. I have been searching around for a good clinic for face treatment all these while and yet my friend introduces this Premier Clinic to me. They offer a lot of aesthetic services to fulfill your needs. 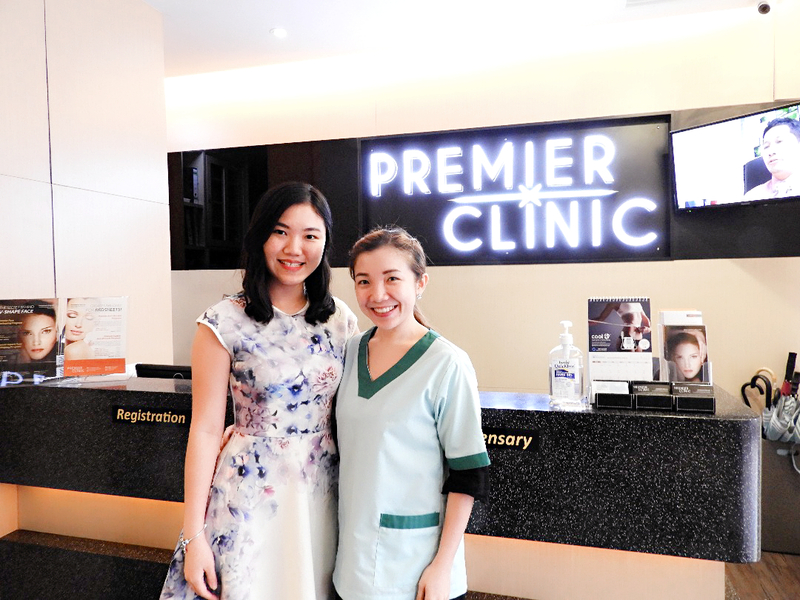 Premier Clinic is an aesthetic clinic with branches strategically located in Bangsar Baru, Taman Tun Dr Ismail and Puchong. Premier Clinic has the license from the Malaysia Ministry of Health and it offers an extensive range menu of aesthetic treatments to help you attain your desired perfection in beauty and health. Premier Clinic is also equipped with modern technology, advanced machines and credentialed doctors with specialized knowledge in aesthetic medicine. Their satisfied customers come from both local and regional markets. With their professional guidance and customized treatment by the experienced doctors, you can actually look forward to the best outcome. I am visiting Premier Clinic at Bangsar Baru and being served by the Branch Manager who is so friendly. She is then brought me to a waiting room before my turn to meet the doctor. 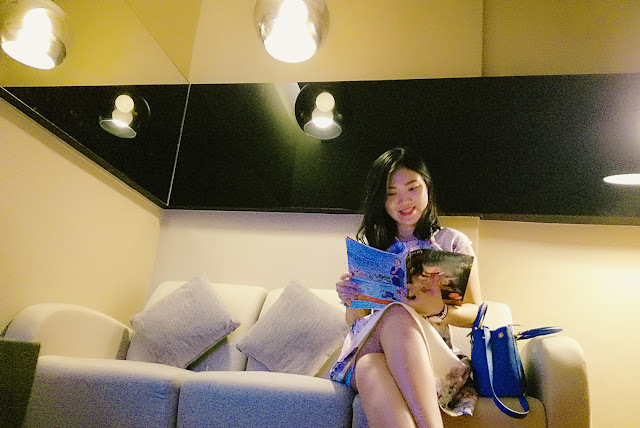 The waiting room has a TV, comfortable sofa and magazine. When the doctor is free to meet me, I have been escorted to the consultation room to meet Dr Jaswine. I illustrate the pigment problem on my face skin to Dr Jaswine and she explains to me in detail on how does the pigments occur, how to prevent or control it and what kind of treatment she would recommend me to apply. Thus, I have actually decided to do the laser treatment for pigmentation. After the consulting session, we go to the room on next door for treatment. Firstly, the staff starts to clean my face before the laser treatment. 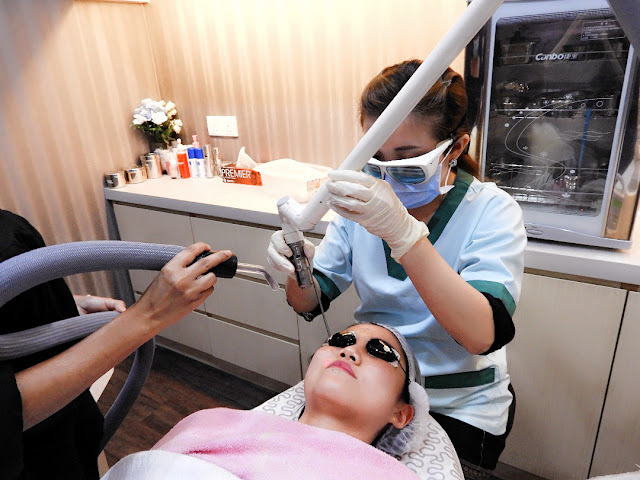 After that, laser treatment is performed by Dr Jaswine with the cooling effect applying together at the same time. I like the cooling effect because I don't really feel the pain during the laser treatment. I am a quite sensitive person on the painfulness, so if it is without cooling effect, I would feel the pain so much. The cooling effect has reduced some of the pain during the treatment which I am feeling good with it. There are some redness of the face after the treatment and it is normal. After the treatment, they actually do some soothing steps on my face to cool down my face skin. They apply sun block and moisturizer onto my face skin too. Thank you Dr Jaswine and Premier Clinic for making me look beautiful now. For full addresses of 3 branches, please click here.